In the competitive world out there, having a good and attractive domain name for your website helps it perform better. Domain name is basically the url (Uniform Resource Locator) name of a website. It is the site's web address that you put in the navigation bar. This domain name gives a unique identity to a website on the Internet. simple terms, it is the name given to a website. Yahoo.com, Gmail.com, Google.co.in, YouTube.com, Wikipedia.org are a few examples of domain names. Domain registration is the process by which a domain name is registered for your website. 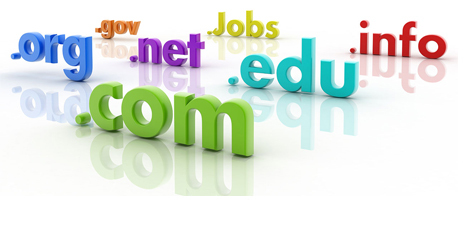 Every website that you see on the Internet has its domain name registered with the domain registrars. Registration of a particular domain is required so that there is only one website with that domain name. This is the reason the domain name that you have for your website is unique. No other website can have the same domain name as yours. Domain Registration Process in details Let us consider that you have created a website for your share trading business and want to name it as www.sharetrader.com . When you apply for this particular domain name with a domain registrar, availability of that domain name is checked. If there already exists a website by that name your domain name cannot be registered within that domain. But if it is available and not yet registered, you can get it registered for your website. So, now people can browse through your website by logging on to www.sharetrader.com. Below listed are a few points that you should keep in mind before registering a domain name for your website. Select a name that is catchy and easy to remember. People usually find it easy to remember names that are short and unusual. Do not use numbers in your website's domain name. Numbers can create confusion in remembering it.